On Saturday, March 24th, two salon suite owners from Salons by JC Highland Park, located north of Chicago, participated and won the grand prize of the Battle of the Salons competition in Chicago, IL. Renata Berdychowska, owner of Hair and Makeup by Renata Berdychowska, and Michael Alexander, owner of Evolve With Michael, combined their talents to bring home the prestigious award. “The decision of being a part of the show was in my head for a long time. I didn’t hesitate to submit my application, but I needed to complete my team,” Renata shared. She enlisted the help of Michael Alexander, as well as designers Jorge Diaz and Mario Humberto Garrido Puga, and local photographer Alex Callejo. “She came to me with the idea…I give everyday looks to my clients, which I love to do, but it does limit my creativity. This would be the perfect place to explore the craziness that is my creative mind,” said Michael of being asked to join Renata’s team. About a month after submitting the application, the theme of the Battle of the Salons was announced – it was open to any theme the stylists chose. “I was ecstatic! We were given free range,” Michael exclaimed. Together, the team decided on the theme of Warrior Angels. “I wanted to portray women for what they are – strong, amazing people that can still be beautiful and fighters at the same time,” Michael shared. 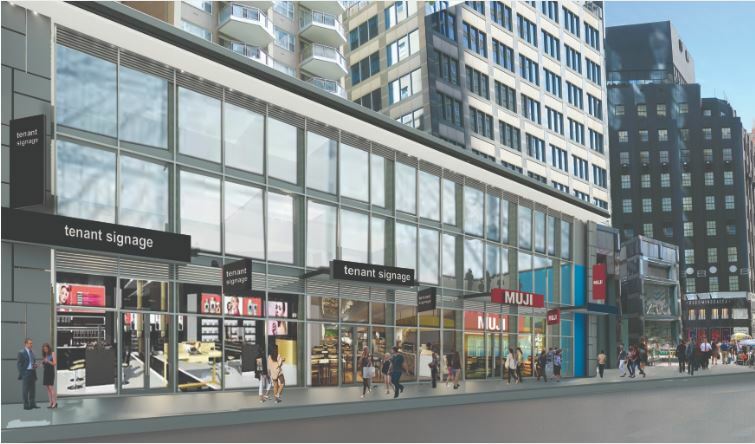 Both suite owners shared the work equally due to their different schedules. Renata and Michael each created a look, while designers Jorge Diaz and Mario Humberto Garrido Puga created the outfits the models wore. Renata and Michael are successful in their own beauty businesses. Renata is a hairstylist, makeup artist, cosmetology educator, and AQUA Hair Extensions Ambassador. Michael has been in the beauty industry for over 20 years, and has worked as an education manager and provided educational material for a worldwide beauty manufacturer. His extensive career has also allowed him to travel the country to teach other hair stylists in skills and business workshops. Both talented stylists combined their expansive experience to create the winning looks at the Battle of the Salons. “I was so proud of what we did together as a team,” Renata exclaimed. 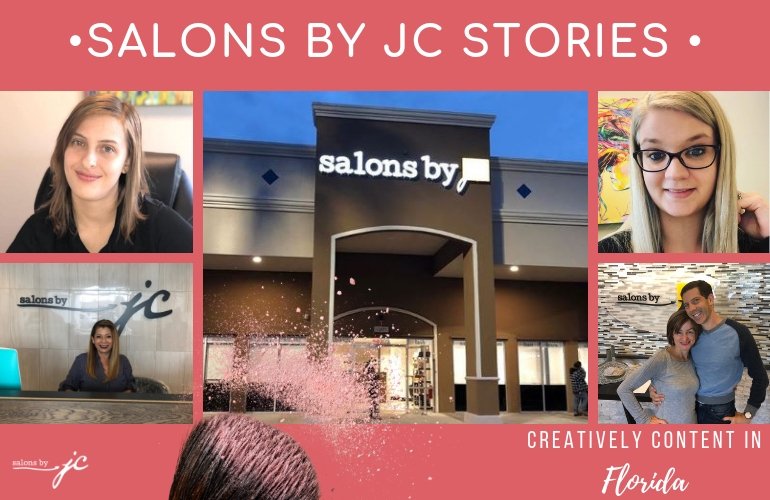 The big Battle of the Salons wins comes at a perfect time for Renata, who is celebrating her first anniversary as a salon owner at Salons by JC Highland Park. “I love being a part of Salons by JC, being my own boss and having the freedom at work. I can work behind the chair as a hairstylist, I can be an educator, and I can show my creativity working with photographers and models during photo shoots,” she shares. The local winners of the Battle of the Salons will go on to the national competition in Las Vegas, NV. Congratulations on the phenomenal win, Renata and Michael! 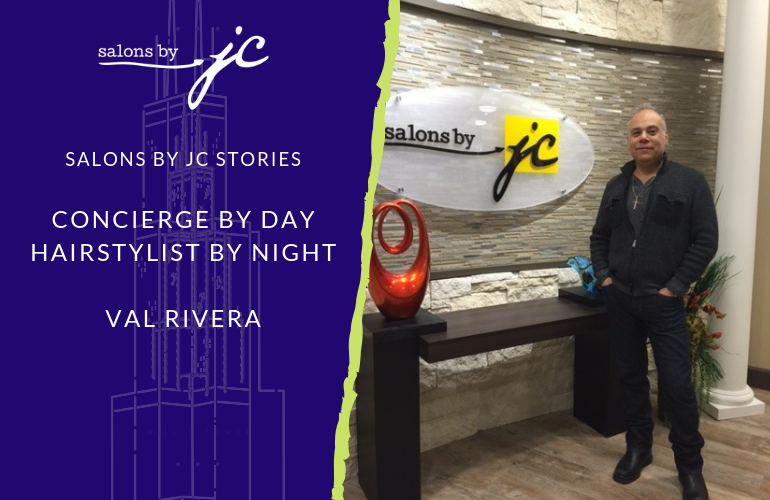 We’re proud to have dedicated and talented suite owners a part of the Salons by JC Community.